Mark McNulty, Alan Bennett, Greg Bolger (C), Danny Morrissey (Sean Maguire 46) Steven Beattie, Kevin O'Connor, Dave Mulcahy, Gearoid Morrissey (Colin Healy 56), Michael McSweeney, Karl Sheppard, Mark O’Sullivan. Brendan Clarke, Ger O'Brien (C), Ian Bermingham, Sean Hoare, Conan Byrne, Christy Fagan, Lee Desmond (Jonathan Lunney 21), Rory Feely, Graham Kelly, Sam Verdon, Jamie McGrath (Stephen Kinsella 77). 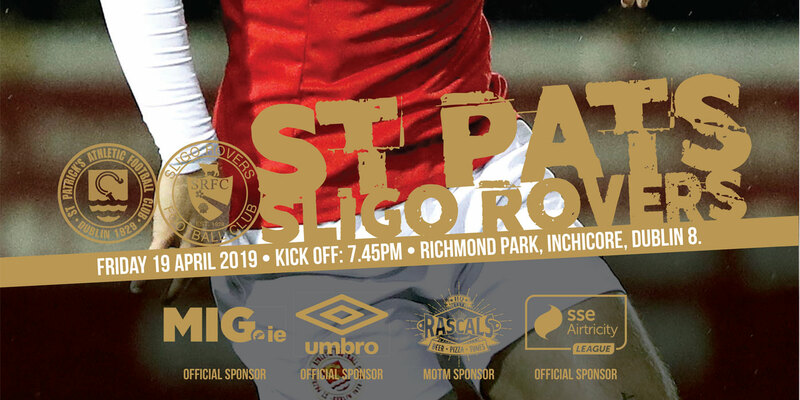 Substitute Sean Maguire proved decisive as Cork City kept their very slim SSE Airtricity League Premier Division title hopes alive, coming from behind to beat St Patrick's Athletic 3-1 at Turner's Cross tonight. In a reversal of the scoreline between the same sides in Dublin last Monday, leading scorer Maguire came on at half-time to score City's second and assisted Steven Beattie's winner, enabling the home side to run out comfortable winners against a spirited St Pat's side. 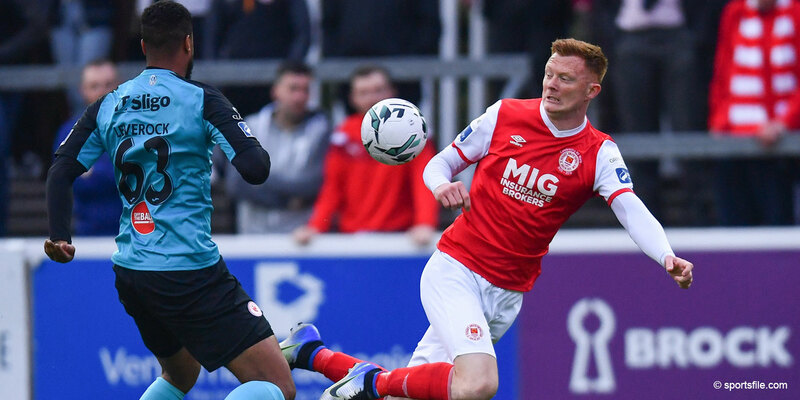 Despite Cork's need to win to remain in with a possible chance of pipping Dundalk to the league title, St Patrick's began the first half in more impressive fashion. St Pat's had two shots in the first 10 minutes but City's Mark O'Sullivan rattled the visitor's crossbar when he rose athletically at a corner after 11 minutes. He headed back his own rebound but keeper Brendan Clarke desperately clawed it away. City had the ball in the net after 16 minutes following a Karl Sheppard header from a corner but St Patrick's opened the scoring first after 23 minutes. 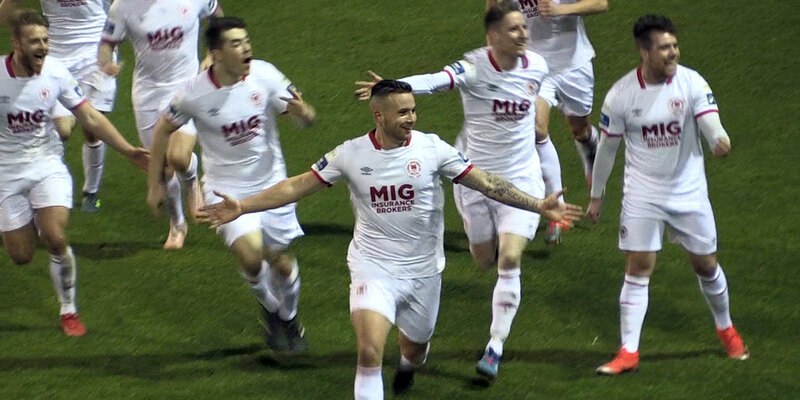 After Greg Bolger fouled Christy Fagan just outside the box, Conan Byrne arrowed a beautifully struck free-kick into Mark McNulty's top right-hand corner, with the keeper unable to get a touch on it. Sheppard went close with an acrobatic flick after 28 minutes following a strong run down the right by Michael McSweeney. The equaliser came a minute later when a poor Ian Bermingham back pass was picked by up by City centre forward O'Sullivan who rounded Clarke and rolled it into the net. O'Sullivan went close again after 37 minutes when the ball got stuck under his foot and dribbled into Clarke's hands after an excellent McSweeney cross. Maguire came on at half-time for Danny Morrissey and made an immediate impact. The former Dundalk player deftly flicked in Beattie's corner on 49 minutes to put City ahead for the first time. City's third came five minutes later after a perceptive Maguire pass allowed winger Beattie to sidefoot the ball home, following a flowing City attack. The game became scrappier after City's third goal but they comfortably saw out the game to keep the league title a slim possibility, despite a number of decent second half efforts on goal from visitors.